UGA Skidaway Institute scientist Elizabeth Harvey will be spending the next month on board Woods Hole’s Research Vessel Atlantis. 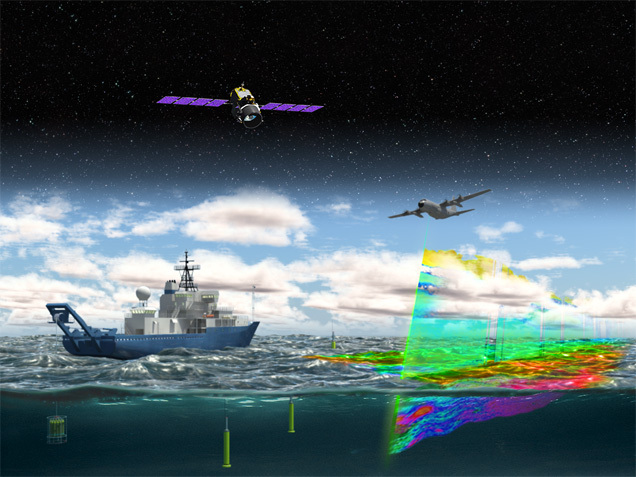 The North Atlantic Aerosols and Marine Ecosystems Study (NAAMES) is a five year investigation to resolve key processes controlling ocean system function, their influences on atmospheric aerosols and clouds and their implications for climate. Here is Dr. Harvey’s first post on the cruise’s blog. 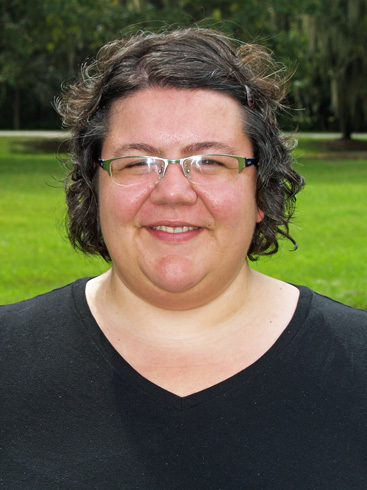 Biological oceanographer Elizabeth Harvey has joined the faculty of the University of Georgia Skidaway Institute of Oceanography as an assistant professor. Harvey received her bachelor’s degree in marine science from the University of Maine and a master’s in environmental science from Western Washington University. She earned her doctorate in oceanography from the University of Rhode Island. Immediately prior to joining Skidaway Institute, she completed a post-doctoral fellowship at Woods Hole Oceanographic Institution. 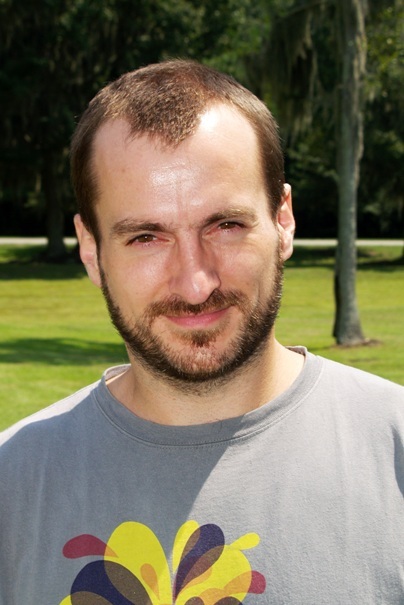 Harvey’s research focus is on the mechanisms of mortality in the planktonic environment in the ocean and how that influences food web structure and biogeochemical cycling. Pitching a tent in the woods and fighting off mosquitos may not sound like logistics of a typical oceanography experiment, but that is how researchers at the University of Georgia Skidaway Institute of Oceanography completed an intensive, round-the-clock sampling regimen this month. The project, dubbed “26 Hours on the Marsh” was designed to investigate how salt marshes function and interact with their surrounding environment—specifically how bacteria consume and process carbon in the marsh. 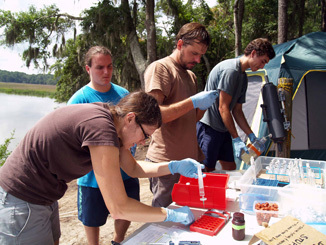 The team set up a sampling station and an outdoor laboratory on a bluff overlooking the Groves Creek salt marsh on the UGA Skidaway Institute campus. The scientists collected and processed water samples from the salt marsh every two hours, beginning at 11 a.m. on July 16 and running through 1 p.m. July 17. By conducting the tests for a continuous 26 hours, the team can compare the samples collected during the day with those collected at night, as well as through two full tidal cycles. The research team ran more than 30 different tests on each sample. The samples will provide data to several ongoing research projects. A research team from the University of Tennessee also participated in the sampling program. Their primary focus was to identify the bacterial population using DNA and RNA analysis. This sampling project is one of many the researchers conduct during the year. They use an automatic sampling system for most of the other activities. The automatic system collects a liter of water every two hours, and holds it to be collected and processed at the end of the 26-hour cycle. The team could not use the auto sampler this time for several reasons; the scientists needed to collect much more water in each sample than the auto sampler could handle and the auto sampler tends to produce bubbles in the water, so it is not effective for measuring dissolved gasses. Megan Thompson supervises Dan Barrett (l) and John DeRosa, both UGA interns, as they process samples in a UGA Skidaway Institute laboratory. About a dozen scientists and students were involved in the project, including Thompson, Tait, a group of undergraduate students completing summer internships at UGA’s Skidaway Institute and a similar group from UT. They split their time between the tent and outdoor laboratory on a bluff overlooking Groves Creek, and the UGA Skidaway Institute laboratories a mile away. “26 Hours on the Marsh” is supported by two grants from the National Science Foundation, totaling $1.7 million that represent larger, three-year, multi-institutional and multi-disciplinary research projects into salt marsh activity. These projects bring together faculty, students and staff from UGA’s Skidaway Institute, UT and Woods Hole Research Center. UGA Skidaway Institute scientists include principal investigator Jay Brandes; chemical oceanographers Aron Stubbins and Bill Savidge; physical oceanographers Dana Savidge, Catherine Edwards and Jack Blanton; and geologist Clark Alexander. Additional investigators include microbial ecologist Alison Buchan and chemical oceanographer Drew Steen, both from UT; as well as geochemist Robert Spencer from WHRC. Skidawawy Institute Clifton Buck continues is account of his lengthy cruise across the South Pacific from Ecuador to Tahiti. It’s another Sunday at sea and we are transiting between Stations 15 and 16. Many in the science party use these 10-12 hour lulls in the action to catch up on sleep, update data logs, or continue their daily slog through the seemingly endless volume of samples. But for me, Sunday is laundry day (not all that different from at home in Savannah). Our ship has a laundry room, though no laundry service, and each compartment of cabins is assigned a particular day of the week for tending to dirty linens. The laundry is located deep within the bowels of the ship along with the food stores. Land lubbers may go queasy at the thought of folding their skivvies beneath the waterline but I find the sound of the waves breaking against the hull to be soothing to hear while I search for that missing sock. 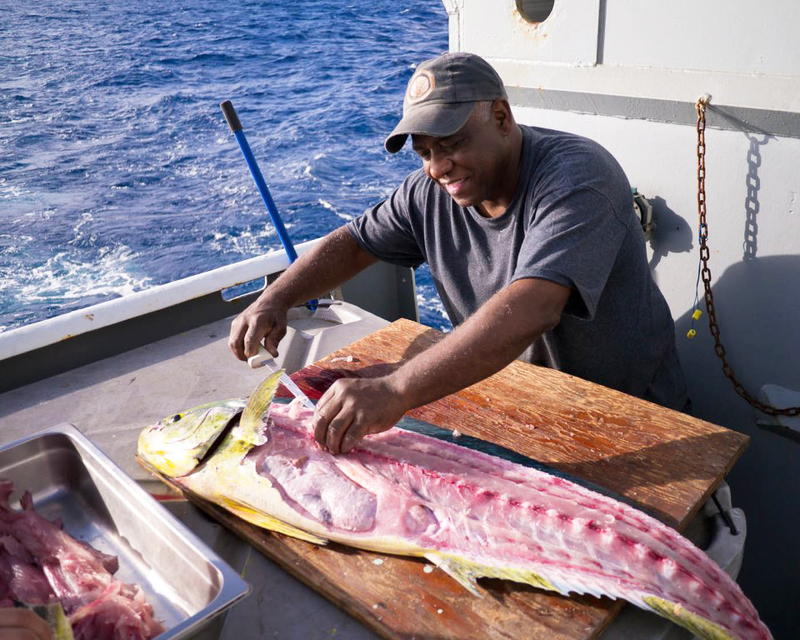 Earlier today, we were treated to a lunch of freshly caught Mahi. Ship’s oiler Orlando cleaning our catch. Our usual operations do not allow for fishing but there are times the ship steams slowly enough to allow for trolling. Several members of the crew are avid anglers and are quick to deploy hand lines from the stern. It is a great treat for us when a fish is landed and one can imagine the joy preindustrial mariners must have felt at the prospect of fresh fish. The internet has been filled with erroneous reports concerning the ongoing leak of radionuclides from the earthquake damaged Fukushima power plant. These reports suggest that contaminated waters and debris are spreading across the Pacific Ocean posing a threat to human health in the Americas. We are all exposed to naturally occurring radiation throughout our daily lives and seawater is chock full of naturally occurring radionuclides. While the area immediately surrounding the plant is grossly contaminated and radionuclides continue to seep from the site, there is no risk to us or anyone in North or South America. The radionuclides released in Japan are quickly diluted in the Pacific Ocean and are constantly disappearing due to radioactive decay. The Fukushima disaster has caused in an increase in radioactivity of about 25% above this natural background level in the near shore (~40km). At 600km from shore, the increase is only 2% above natural levels. In fact, there are several scientists from the Woods Hole Oceanographic Institution (WHOI) on board who were on the scene in Japan shortly after the earthquake struck. The risk of radiation exposure at their study site, just a few miles from the plant, was so low that no personal protective equipment was required whatsoever. Please visit WHOI’s Café Thorium website for more information. So you can dig in to all of the sustainably caught seafood you like without fear of glowing in the dark! 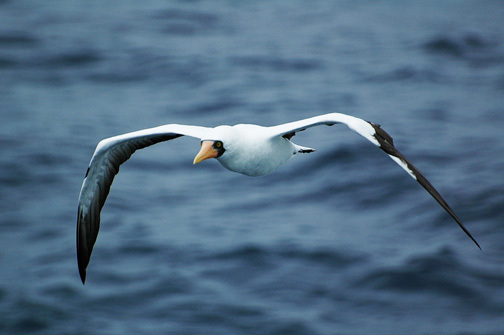 Exit Challenge: Try to identify the seabirds in these photos. Post your answers in the comments. 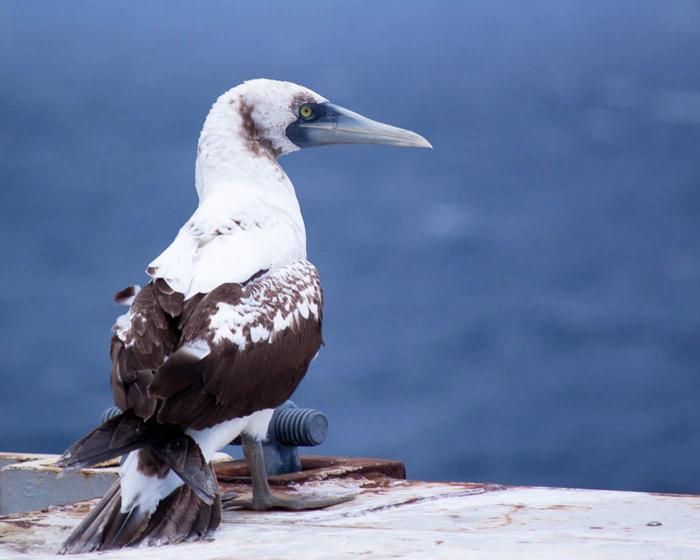 Can you identify this seabird? What kind of bird am I? Skidaway Institute of Oceanography scientist Aron Stubbins joined a research cruise this summer to study hydrothermal vents, but what his fellow scientists found was a recently erupted undersea volcano. The Axial Seamount is an undersea volcano located about 250 miles off the Oregon coast and is one of the most active and intensely studied seamounts in the world. What makes the event so intriguing is that Bill Chadwick, an Oregon State University geologist, and Scott Nooner, of Columbia University, had forecast the eruption five years before it happened. Their forecast, published in the Journal of Volcanology and Geothermal Research, was based on a series of seafloor pressure measurements that indicated the volcano was inflating and is the first successful forecast of an undersea volcano. The discovery of the new eruption came on July 28, when Chadwick, Nooner and their colleagues led an expedition to Axial aboard the R/V Atlantis, operated by the Woods Hole Oceanographic Institution. 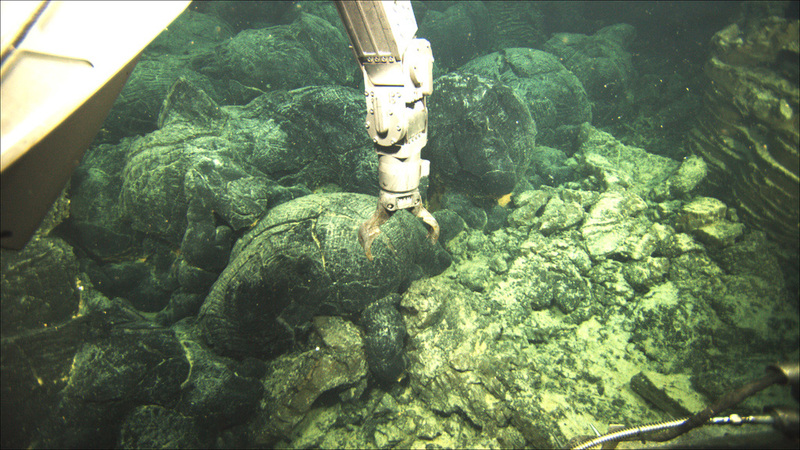 Using “Jason,” a remotely operated robotic vehicle (ROV), they discovered a new lava flow on the seafloor that was not present a year ago. The expedition was funded by the National Science Foundation and the National Oceanic and Atmospheric Administration (NOAA). Stubbins was on the cruise to study the dissolved organic matter being released from the hydrothermal vents in the ocean floor with Pamela Rossel from the Max Planck Institute Marine Geochemistry group in Oldenburg, Germany, and David Butterfield from the NOAA Vents program. Funding for Stubbins and Rossel was provided by the Hanse-Wissenschaftskolleg (www.h-w-k.de) and Max Planck Institute, both in Germany. “The material from the vents reaches over 300 degrees centigrade,” Stubbins said. 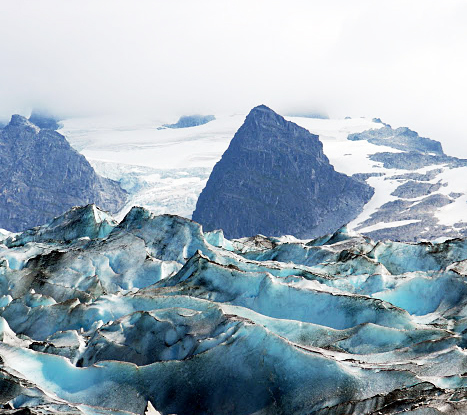 At that temperature, the heat modifies the dissolved organic matter, altering its chemistry and reactivity, and therefore, its fate in the water column. Immediately after an eruption the whole system is in flux, continued Stubbins. Vents in the ocean floor called snow blower vents produce streams of white particles, creating a snow globe effect. These snow blowers are only short lived. “Getting samples from these ephemeral systems provided us with a novel opportunity to gain new insight into these deep sea ecosystems” said Stubbins. For Stubbins and Rossel, the journey of discovery is just beginning. 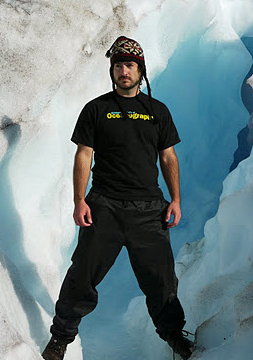 “Nobody knows how much carbon is pumped into the ocean by these snow blowers or the other vents associated with the eruption” Stubbins said. The good fortune of sampling right after a major eruption has provided a unique opportunity to find out.